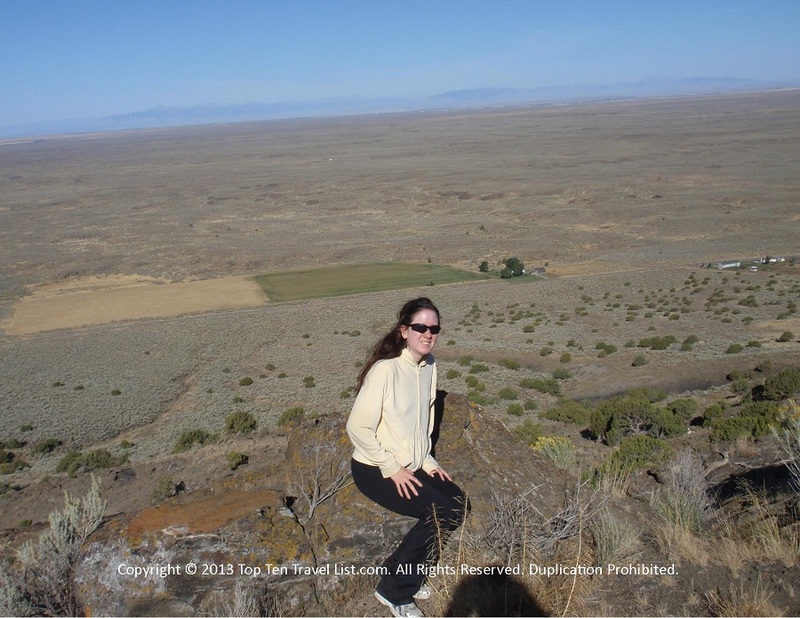 Hiking Hotspot: North Menan Butte in Rexburg, Idaho - Top Ten Travel Blog | Our experiences traveling throughout the US. 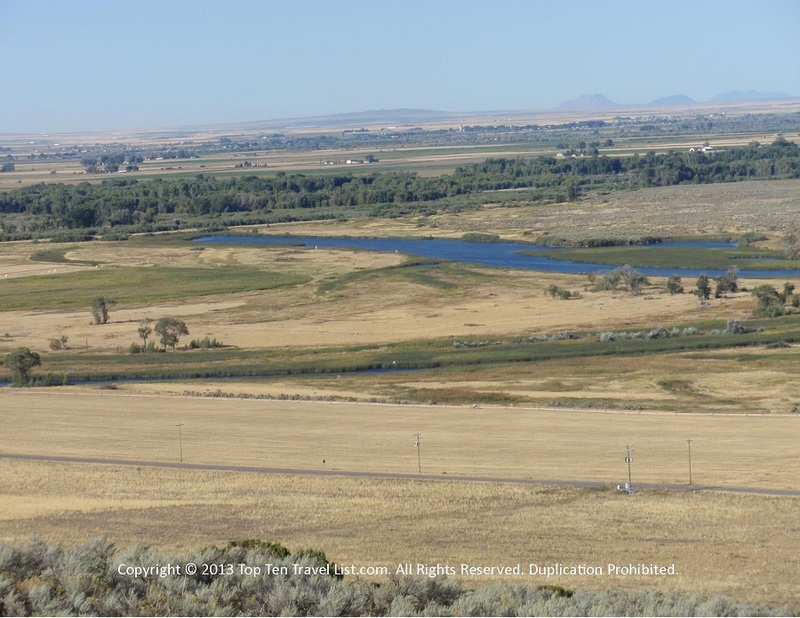 The North Menan Butte Trail, also referred to as “R” Mountain by locals because of the large R painted on the side of the mountain is a scenic hike located just a short drive from both Idaho Falls and Rexburg. This trail is the ideal recreational activity for both locals and tourists. North and South Menan Butte are 2 of the world’s largest volcano tuff cones. 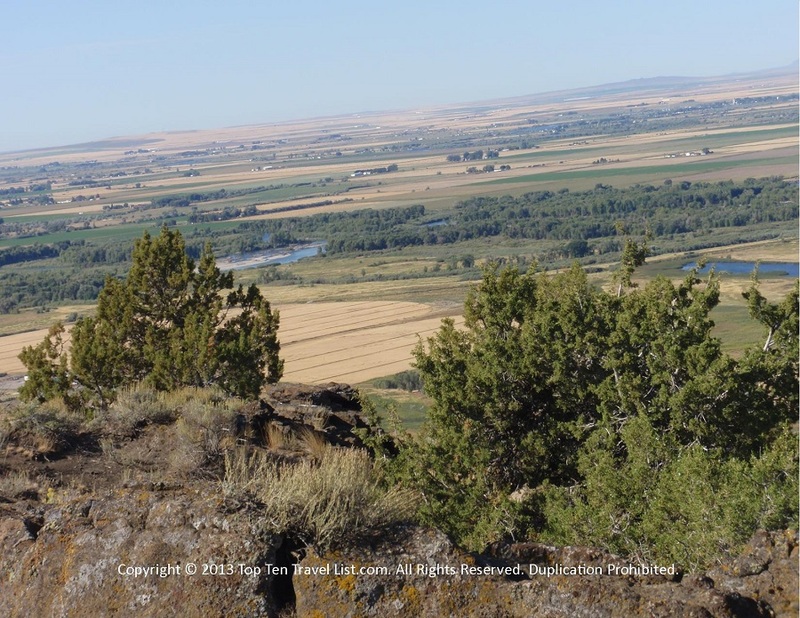 These buttes stand as the site of the sole freshwater volcano eruptions in the US. 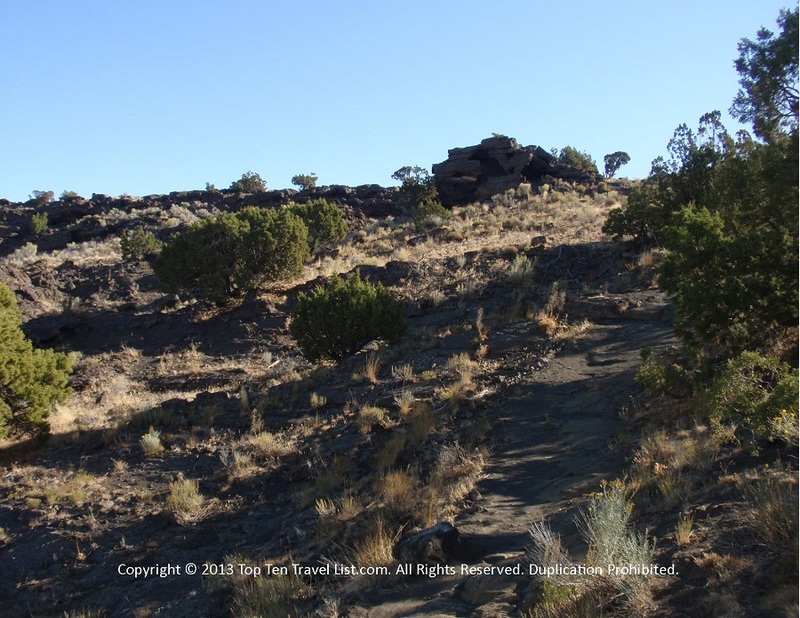 It is interesting to walk around an ancient volcano.This is a great hike in Southeastern Idaho, much harder than I expected. The climb uphill is pretty steep.My boyfriend and I did this hike at least once a month during the spring and summer months while living in the area. The trail length is about 3 miles round trip. In addition, there is a loop around the top that you can walk around and explore or just relax and take in the views! The views from the top are very scenic – well worth the effort getting up the hill. I enjoyed the desolateness of this hike. It is a great workout for your legs as well. Getting down the mountain was a lot harder than going up in my opinion. The climb down is very steep. Luckily there are a few railing to help guide you down. There are not a lot of signs on the way down, so you have a few options on which direction to take. 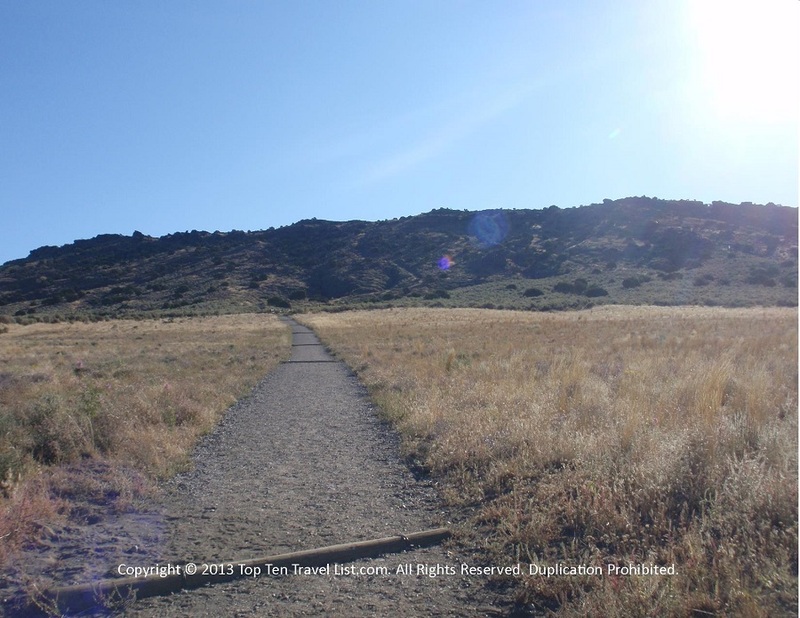 Be aware that this is a desert hike with no shade, a few sandy areas to walk through, and no water at the start. Bring with plenty of water! Also be on the lookout for rattlesnakes, which are common in the area. 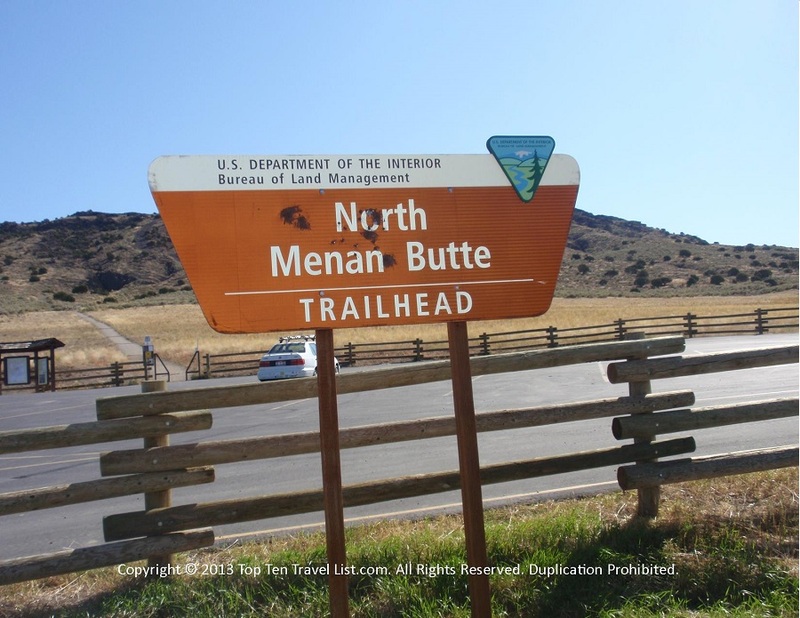 Overall, The North Menan Butte Trailhead is a peaceful escape complete with great views and a fabulous leg workout. I know I will be back on my next visit to Idaho! We had a hard time finding a direct address for this trailhead. You will want to take a left on N 3600 E/Twin Butte Road and follow for 3 miles until you see the trailhead parking lot. Check out this map for directions from both Idaho Falls and Rexburg.